In year 7 history lessons we have been studying the Roman Empire. 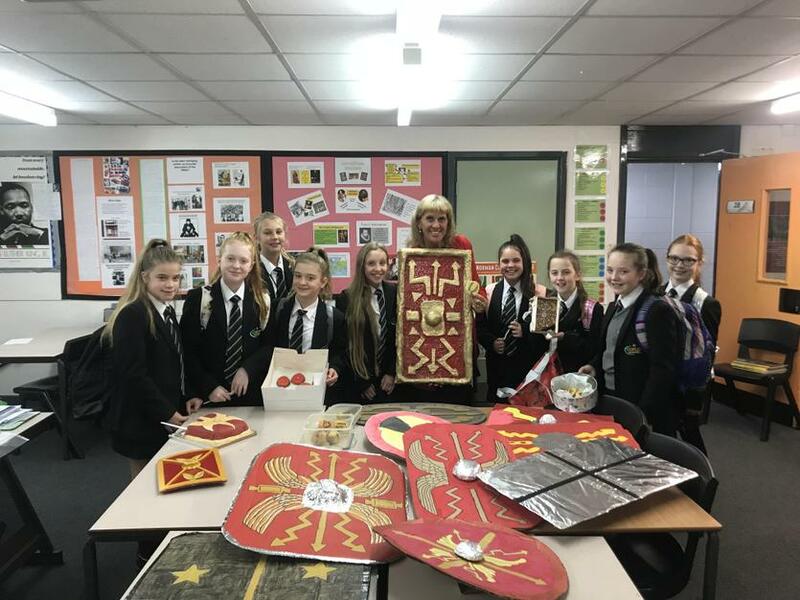 As part of our home learning projects pupils researched life as a Roman soldier and created their own version of a Roman shield. Below is a photograph of our proud pupils and their various entries into the shield competition. Miss Gregory came to judge the winner and found it difficult to decide due to the numerous amazing efforts! 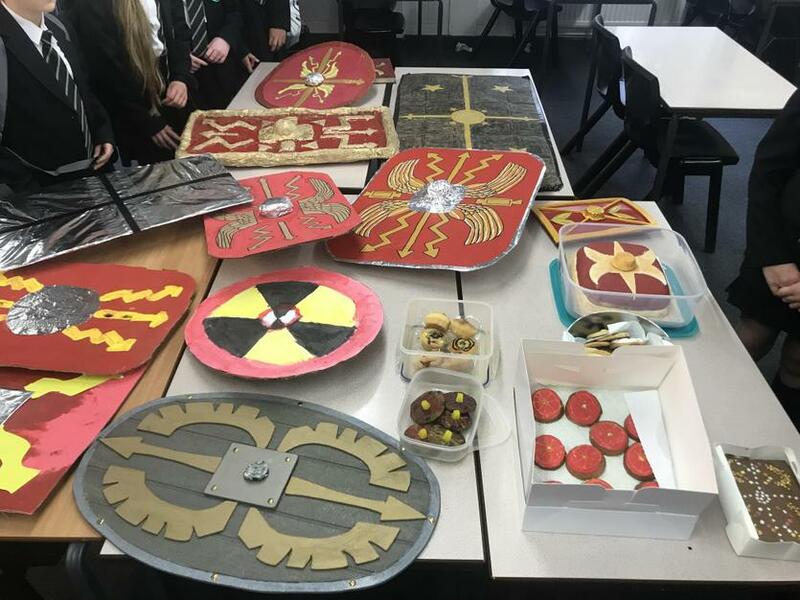 Miss Black says well done to year 7 you have set the standard high for our next model making challenge based on Anglo-Saxon and Norman England, keep up the hard work.